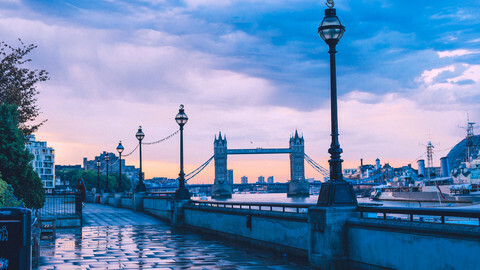 The environment could be a key element in Nordic countries' cooperation with the UK after Brexit, UK prime minister Theresa May told prime ministers and parliament members gathering in the Nordic Council in Oslo on Tuesday (30 October). "Environmental protection, international development and a rules-based international order are just three of the areas which the UK and Nordic nations are already cooperating closely on," May said. "I believe they could be the pillars on which we base a stronger, deeper future relationship between our countries and our people." "It is a relationship that will continue to thrive after Brexit," she said. It was the first ever time that a UK prime minister spoke in the Nordic Council's yearly plenary. 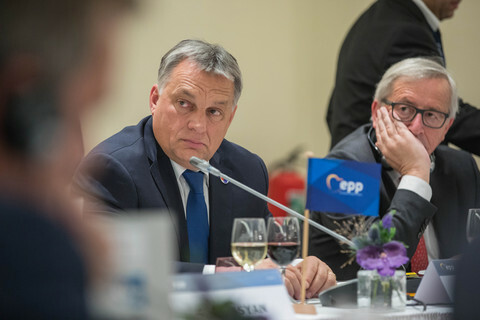 People with a long memory of Nordic cooperation told EUobserver that not since German chancellor Helmut Kohl addressed the plenary in 1992 has a non-Nordic state leader spoken in the council's yearly session. The Nordic Council is the official body for formal inter-parliamentary co-operation among Denmark, Finland, Iceland, Norway, Sweden, the Faroe Islands, Greenland and Aland. The council was formed in 1952 and has 87 members, all being members of national parliaments. "We must demonstrate that there is not a choice to be made between a greener environment and economic growth. I want the UK and Nordic nations to work together in developing policies and technologies that will prove it to the world," May told the assembly. May took the rare tradition of having a non-Nordic guest speaker a step further, when accepting questions from the MPs of the Nordic parliaments' different political groups. "We take a different path than the United States on the environmental front and remain part of the Paris climate accord," she promised, when being quizzed by Danish Green-Left MP Christian Juhl on the UK's future environmental policies. "We want to be the generation that leaves the planet in a better state than we found it", she said. 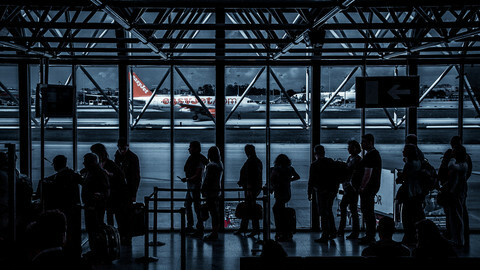 Finnish Social Democrat MP Erkki Tuomioja wanted to know if the British people would be given the possibility in a referendum to have the final say whether their country remain or leave the EU, when the details of a deal are known. 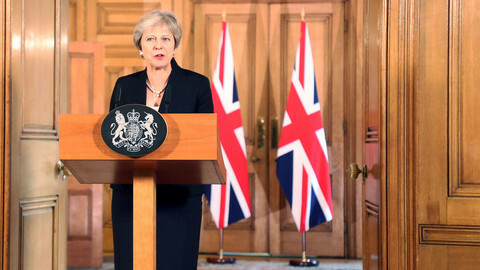 "It may come as a disappointment to the Nordic council, but the answer will be no different from the answer I give in my parliament - there will be no second referendum," May said. Nordic voice weaker after Brexit? "We are sorry to see the UK leaving the European Union", said Finnish conservative MP Ville Rydman. "Without the support of the UK, the Nordic voice within the European Union will not be as strong it used to be," he said. "From everything I have seen in the European Council there will still be a strong Nordic voice," May replied. 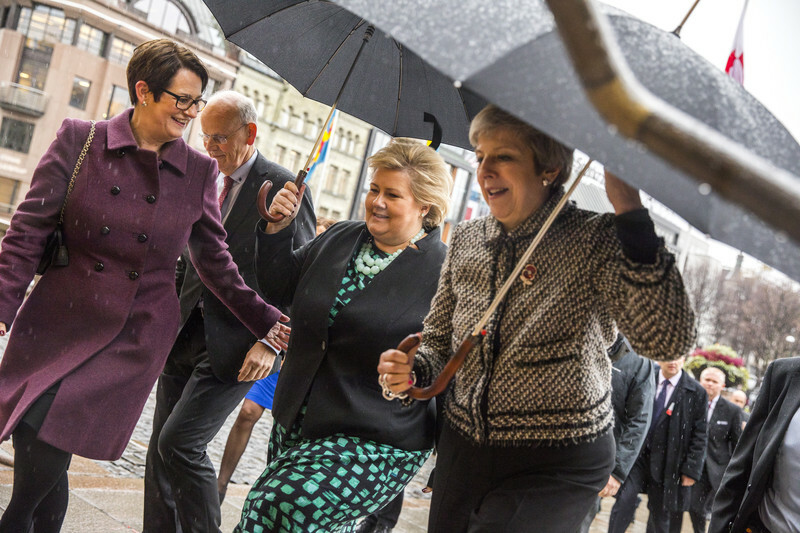 Her visit in Oslo also included bilateral meetings with Norway's conservative prime minister, Erna Solberg. "We will build a new partnership with the EEA and the EFTA countries", May told the Nordic Council. But her Norwegian counterpart maintained a cool attitude towards the prospect of UK joining the European Economic Area and EFTA after Brexit. The two conservative prime ministers pledged however to secure citizens in their respective countries. "I can confirm that prime minister May and I agreed that Norway and the UK will put in place a comprehensive citizens rights agreement. We will treat all UK citizens living in Norway so that they will have the same opportunities as they have had before - also after the 29 of March," said the Norwegian prime minister. 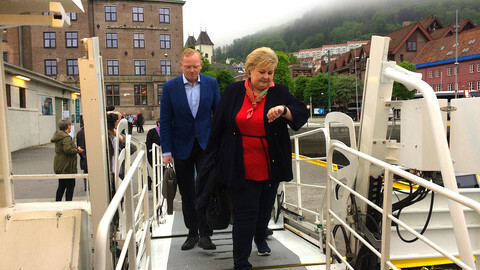 "British citizens in Norway are in fact just very welcome to stay," Solberg told press in Oslo. Not everybody in the Nordic council is unhappy with Brexit. "The Nordic countries cooperation is one of the few stable elements we have for the time being", the Green-Left leader, Christian Juhl told EUobserver. "Why not include the UK in that cooperation in one form or another?" he asked. 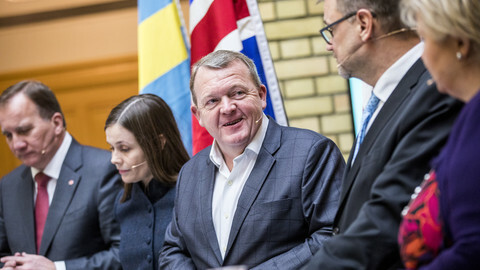 The Nordic Freedom group, gathering Sweden Democrats, True Finns and Denmark's Danish People's party, also congratulated Theresa May with the Brexit referendum. "Democracy is a wonderful thing and we are all convinced this will be good for the United Kingdom in the years to come," said Danish MP Jan Erik Messmann. May said: "The partnership will come in different forms. There will be those countries that are still members of the European union, there will be opportunities for working together with other groupings such as the Nordic Council and bilateral relations." "We are leaving the EU, but we are not leaving Europe," she added. 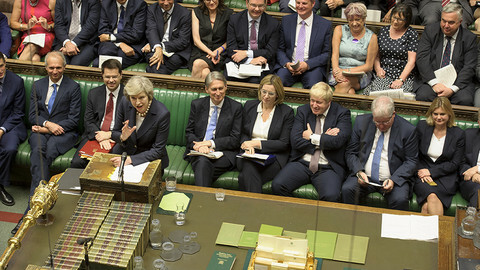 Members of the British parliament will be given a vote to leave the EU on the 'European Economic Area' Norway model, after a majority of Lords surprisingly approved to the idea.